Baseball in Alamance County did not begin to become popular until after the Civil War. Since the war many professional players have been born in the Alamance County area. The earliest professional baseball player born in the area is Charley Jones. Jones played twelve seasons with teams including the Chicago White Stockings in 1877, the Cincinnati Reds Stockings in 1878, and the Boston Red Caps, currently the (Atlanta Braves), in 1879 and 1880. Jones played with Hall of Famers Cap Anson, Billy Williams and Al Spalding. It is recorded that he made $1,500 in 1879 and in 1880. He was traded for $1,000 in 1887. Though the exact amount of his career earnings are unknown he did make significant amount of money $1,500 is equivalent to $36,000 in 2019. He was the first player to break many MLB records. He was the first to hit two home runs in the same inning. He is referred as the first home run king with a 56 career home runs. He also held the home run record from 1880-1881 and 1883-1884. After his playing career he went on to umpire the game of baseball for two years professionally in the American Association. By the turn of the century, Baseball in Alamance County was built around the textile mills having teams. The 1907 Burlington team's fierce rival was Chapel Hill. Losing early in the season to Chapel Hill, Burlington went on to acquire a Davidson College pitcher, who shutout Chapel Hill in the latter half of the season. This decade is known as the peak of baseball in Alamance County. The Burlington team went on to win every game for the rest of the season. In 1915 there were two teams in town. There was a team from Graham, 'Scouts for Connie Mack' and another from Burlington, 'Old Sox', who played against each other on July 3rd for the Fourth of July Festival in front of the town. This game was set up by Junis Harden and Williams Nicks. This information was stated in Walter Boyd's 2013 article about baseball's history in Alamance County. The most notable of the players from Alamance County is Tom Zachary. The two-time World Series winner, once with the Washington Senators and another with the New York Yankees, was born in Graham, North Carolina in 1896. He started his playing career in 1918 in Philadelphia. He was probably most known for giving up Babe Ruth's 60th home run in a season  to set a record for most home runs in a season. Taylor had a successful eighteen-year career with seven Major League teams. He holds the record for most wins in a season without a loss, 12-0 in 1929. In the 26 games he pitched that season he had an ERA of 2.48. Zachary finished his playing career in 1936, having a career ERA of 3.73 and a win record of 186-191. During the World War II, many former players in the Majors played down in North Carolina. The most famous of these were Ted Williams, who played with his Navy regiment while he was stationed with the Navy in North Carolina. He played against Burlington twice, along with John Pesky, who the 'Pesky Pole' at Fenway Park is named after. Though myth says Williams has the longest home run in Burlington, there is proof that he did not homer in his two games at what was then Hillcrest Park. The town was notoriously successful when it came to textile mills having teams. Employees were offered more money to work at a mill if they played baseball. Some of the players from the mills semi-professional league would go on to play professional baseball. The success would later generate the idea of locals of bringing professional baseball to Alamance County. 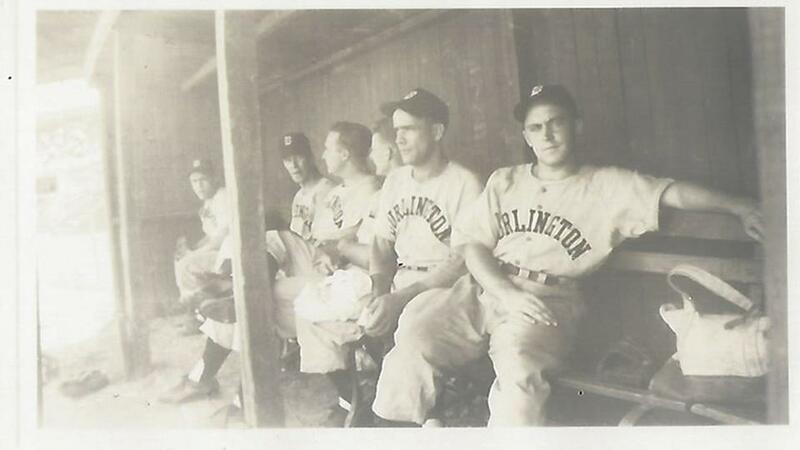 Local enthusiasts in 1942 to brought a professional team to Burlington. The Burlington Bees played in Burlington in 1942, and from 1945-1951. The Bees played in the Bi-State League and the Carolina League. Following the departure of the Bees, the Burlington-Graham Pirates came to the area in 1952. This team played four seasons at Graham High School, now known as Tom Zachary field. Jack McKeon was of the most famous to play for them. McKeon went on to manage several teams including the 2003 Florida Marlins who won the World Series. When the Pirates left, the Indians came in. From 1958 to 1964 the Burlington/Alamance Indians were in town. In 1960, they brought down Fairchild Park, currently Burlington Athletic Stadium, from Danville, VA. The stadium, dismantled and shipped to Burlington for the beginning of the 1960 season. The Indians most notable player in town was Luis Tiant. He went on to have a successful 19-year career, majority with the Indians and Red Sox. He was a 3-time All-Star and led the league in ERA twice, 1968 and 1972. Along with Tiant, Augie Garrido spent time with the Indians in Burlington. Garrido, would eventually become the famous manager of the University of Texas, winning 1,975 games in his time as a college baseball coach. The Indians left in 1964 to make way for the Burlington Senators of the Washington Senators and later Texas Rangers. Though they didn't have successful seasons, they were host to 4-time All-Star Toby Harrah. Following the departure of Rangers, Alamance was left without a team for over a decade. With no team in Alamance we saw a rise of two Major League caliber players. Jim Holt was from Graham and Floyd Wicker from Burlington. Holt played nine seasons in the Majors and Wicker played four. Neither had exciting careers, but were products of the area during the time that made the 'Bigs'. Burlington Athletic Stadium, which was formerly referred to as Fairchild Park, was home to some shooting in the movie "Bull Durham" starring Kevin Costner. They filmed the movie in the Fall of 1986 after the first season of the newly introduced Burlington Indians. In a conversation with Miles Wolff, author and former Burlington General Manager Dr. Mark Cryan asked, "What was the biggest challenge in the filming"? Wolff responded with, "It was the coldest fall I have ever seen in North Carolina...We had to spray the grass green with food dye, since it had turned brown due to the cold weather." After years without a team, the Indians returned to Burlington in 1986. For the twenty seasons the B-Tribe produced the likes of Manny Ramirez, Hall of Famer Jim Thome, C.C. Sabathia, Bartolo Colon and more MLB talents. The Indians departed in 2006 to make way for the Royals in 2007. In 1988 we witnessed the longest continuous solo broadcast of a game. The eight-hour and 15-minute game lasted 27 innings between the Burlington Indians and the Bluefield Orioles, and was broadcasted on WBBB-AM by Richard Musterer. In 2007, the teams affiliation changed from the Indians to the Royals. The Royals have had success when it comes to producing modern day stars. World Series winners, Salvador Perez and Kelvin Herrera have found their way out of Burlington to the big leagues, along with 2013 Rookie of the Year Wil Myers. Burlington has also been home to several rising stars, Seuly Matias, Daniel Lynch and Nicky Lopez. We will continue to watch their progression through their path to the Majors. It is clear that Alamance County has a rich history of baseball. As we finish renovations on the ballpark, we can't wait for the next chapter.